The deadline to file your taxes depends on what tax form you are filing; an individual tax return (i.e. Form 1040), a corporate tax return (i.e. Form 1120, Form 1120-S), and a partnership tax return (i.e. Form 1065). Wednesday, March 15th, 2017 is the last day to timely file a 2016 corporate tax return and/or a 2016 partnership tax return, unless you file an automatic 6-month extension before the deadline. Generally, March 15th is the deadline to file a corporate tax return (i.e. Form 1120, Form 1120-S) and/or a partnership tax return (i.e. Form 1065), unless March 15th falls on a Saturday, Sunday or holiday. If March 15th falls on a Saturday, Sunday or holiday, then the deadline to file falls on the next business day that is not recognized as a holiday. Tuesday, April 17th, 2018 is the last day to timely file a 2017 individual tax return, unless you file an automatic 6-month extension before the deadline. 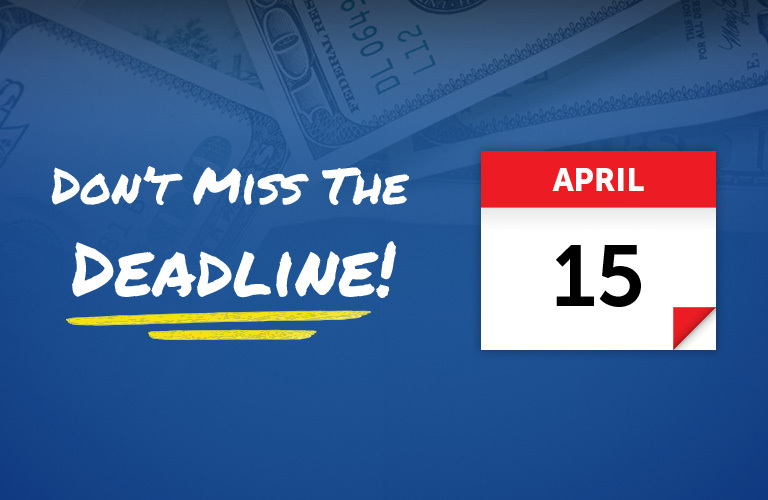 Generally, April 15th is the deadline to file an individual tax return (i.e. Form 1040), unless April 15th falls on Saturday, Sunday or a holiday. If April 15th falls on a Saturday, Sunday or a holiday, then the deadline to file falls on the next business day that is not recognized as a holiday. In 2018, April 15th falls on Sunday. So you might assume the last day to file would be Monday, April 16th. Not so fast. Emancipation Proclamation day, a holiday recognized in Washington DC is Monday, April 16th. Since Emancipation Proclamation day falls on Monday the actual holiday is recognized on Monday, April 16th and that pushes the last day to file your taxes to Tuesday, April 17th. Friday, September 15th, 2017 is the last day to timely file tax returns that filed an automatic 6-month extension and were originally due on March 15th. Monday, October 16th, 2017 is the last day to timely file tax returns that filed an automatic 6-month extension and were originally due on April 15th. Generally, October 15th is the deadline to timely file tax returns that filed an automatic 6-month extension and were originally due on April 15th, unless October 15th falls on Saturday, Sunday or a holiday. In 2017, October 15th falls on a Sunday, so that pushes the last day to file a tax return to Monday, October 16th.